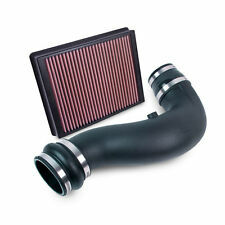 11-16 FORD 6.7L DIESEL AIRAID MXP SERIES INTAKE SYSTEM. 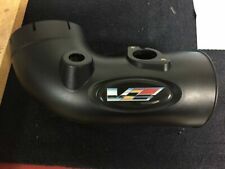 Airaid Cold Air Intake 3D Domed Decal Sticker 09-15 Cadillac CTSV V8 6.2L . Condition is New. Shipped with USPS First Class Package. 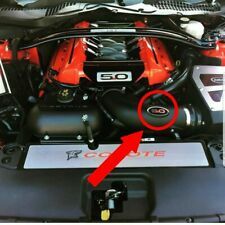 Airaid Cold Air Intake 3D Domed Decal Sticker 5.0 Ford Mustang . Condition is New. Shipped with USPS First Class Package. 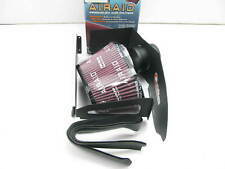 Airaid Engine Cold Air Intake Tube AIR U-Build-It Kit 4 Inch 100-400 *We keep these in stock for immediate shipment. 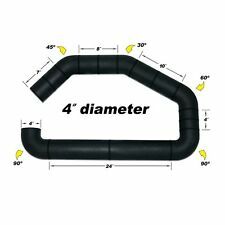 Place your order before 10 am EST on a weekday and we'll ship the same business day* The UBI Air Intake Tube Set is a one-piece air intake tube consisting of the bends and straight pipes needed for you to create the intake piping of a custom air intake system. The roto-molded tube is a low-restriction, free-flowing tube with a 4 inch outside diameter. Simply measure and cut off the pieces you need. ---4 inch diameter air intake tube ---One piece roto-molded tube allows you to cut the lengths or bends you require ---Plenty of bends and straights to build a custom air intake system ---Includes 30, 45, 60 and 90 degree tube bends. 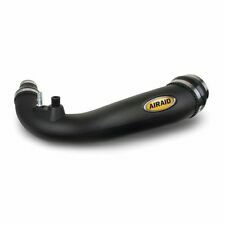 Pre-owned Airaid MIT Modular Intake Tube 200-985 GM 5.3L V-8. Instructions state this model fits the 2014-19 Chevy Silverado / GMC Sierra 1500, 2015-19 Chevy Tahoe / Suburban 1500 / GMC Yukon. Airaid part number 300-138. NOTE: FITS 2.4L TURBO ENGINES ONLY. The AIRAID Air Box System is engineered to give your engine larger amounts of cooler air to produce more horsepower and torque. This air box system connects to the factory air intake tube. Air is lazy and will always follow the path of least resistance. So, why not give it an easier path into your engine with AIRAID® Modular Intake Tubes! All of the required hardware is included along with easy-to-follow instructions. The AIRAID MXP Air Intake System represents the ultimate in cold air induction systems and provides the highest level of horsepower and acceleration gains for high-performance gas and diesel vehicles. The AIRAID Jr. As with other AIRAID intake systems, the AIRAID Jr. Each kit is custom made to fit specific vehicles and is easy to install and requires no drilling. 2007 CHEVROLET Silverado 1500 6.0L V8 F/I All. 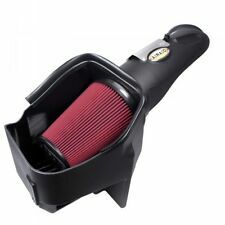 As with other AIRAID Intake Systems, the AIRAID Jr. AIRAID GMC Yukon Chevy Silverado Tahoe 07-13 6.0 5.3 4.8L Filter Jr. Intake Kit. 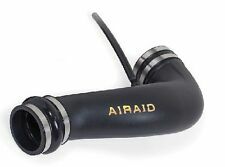 AIRAID Jr; Intake Tube Kit; Incl. Air Tube And Filter; Installs In 15 Minutes;. The AIRAID Jr. As with other AIRAID intake systems, the AIRAID Jr. Each kit is custom made to fit specific vehicles and is easy to install and requires no drilling. 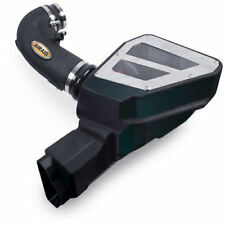 Airaid Jr. Intake Kits V8 201-785. The AIRAID Jr. As with other AIRAID intake systems, the AIRAID Jr. Each kit is custom made to fit specific vehicles and is easy to install and requires no drilling. Low restriction polyethylene intake tube. Installation is easy and can be done in only a few minutes with a few simple tools. Mounting hardware is included along with easy-to-follow instructions. Product Style Airaid Modular Intake Tube. The AIRAID Jr. As with other AIRAID intake systems, the AIRAID Jr. Each kit is custom made to fit specific vehicles and is easy to install and requires no drilling. Product Style: AIRAID Jr Kit. 2017-2019 GMC Canyon 2.5L L4. AIRAID’s JR. cold air intake system, which includes a premium washable and re-usable AIRAID SynthaFlow air filter and a redesigned air intake tube, is perfect for enthusiasts looking to boost performance but are either new to cold air intake systems or on a budget. All black components, a black powder-coated aluminum intake tube, and an oil-free SYNTHAMAX® synthetic filter make the AIRAID® MCAD™ intake system your engine’s new best friend - providing an increase in both horsepower and torque. 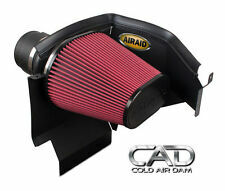 The AIRAID Cold Air Dam (CAD) Air Intake is engineered to give your engine larger amounts of cooler air to produce more horsepower and torque. The 360-degree conical AIRAID premium air filter is washable and reusable, less restrictive than traditional paper, and assures superior filtration. The AIRAID MXP Rotational Molded Air Box Air Intake is engineered to give your engine larger amounts of cooler air to produce more horsepower and torque. The 360-degree red synthetic conical AIRAID premium air filter is washable and reusable, less restrictive than traditional paper, and assures superior filtration. The AIRAID Jr. As with other AIRAID intake systems, the AIRAID Jr. Each kit is custom made to fit specific vehicles and is easy to install and requires no drilling. Product Style: AIRAID Jr Kit. Low restriction polyethylene intake tube. For your consideration is a Airaid Performance Jr Intake system. Molded modular Intake Tube. -NOTE: MISSING the "Urethane Hump Hose" that connects air tube to factory airbox or MAF (as applies). 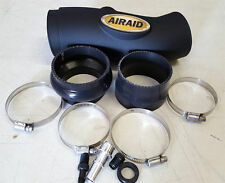 AirRaid Premium Filter.